Quite a commotion was produced yesterday morning among the traffickers in new clothes, old clothes, and “matters and things in general.” located in Chatham street, who have for years past been in the habit of throwing open their shops for trade, and exposing their wares at their doors and windows. The common Council have recently passed a resolution for the enforcement of the long neglected ordinance for the prevention of Sunday trafficking, the police under the direction of the Mayor, have commenced enforcing a strict and general observance of that ordinance, heretofore enforced only against the poor women and boys who eked out a few pence profit by selling apples and pea nuts. Almost with the rising of the sun, yesterday, the Chatham street retailers who have heretofore been in that practice, opened their shops and stalls, and hung out their articles of trade, as usual, but before ten o’clock they received a visit from officer Merritt, who warned them to take in their “traps,” and close their shops, and that in case of their refusal or neglect to comply in stanter, or their reopening on any future Sabbath for the purposes of trade, they would be proceeded against according to law. Most, if not all of them, had the discretion to comply with the requirement, and henceforth a strict watch will be kept upon them which will render it both unsafe and disagreeable for them to continue desecrating the Sabbath in the manner which has been too long tolerated. N. Y. Sun. 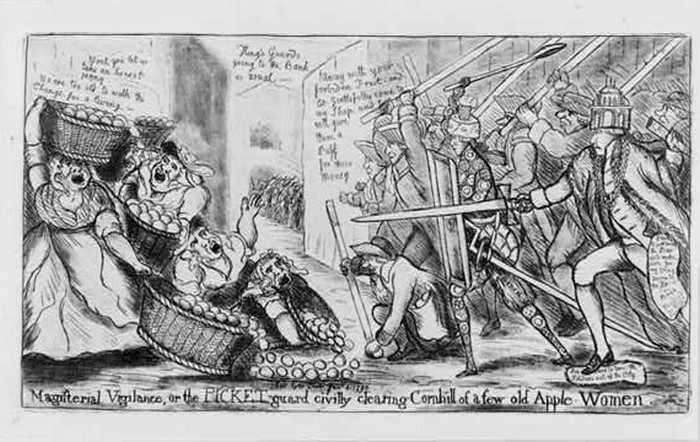 "Magisterial vigilance, or the picket guard civilly clearing Cornhill of a few old apple women"
*Note the article states the ordinance banning commerce on Sundays had always been enforced against women and children eking out a few pennies selling food. This illustrates yet another way women were controlled and kept powerless. Both women and children were deemed a nuisance, but even more telling, women were relegated to the same status level as children. Many of the women resorting to such business were likely widows or may have been deserted. Few jobs were open to them. 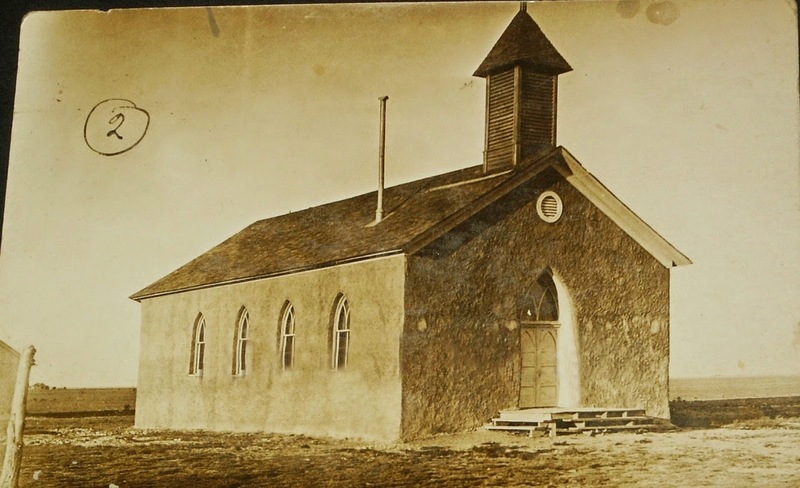 Poor Laws often worked against them (as they did against most); the laws discriminated against those not native to a town or region, and if they had relocated for marriage, they were shunned if they lost their ties to the community through death or abandonment. 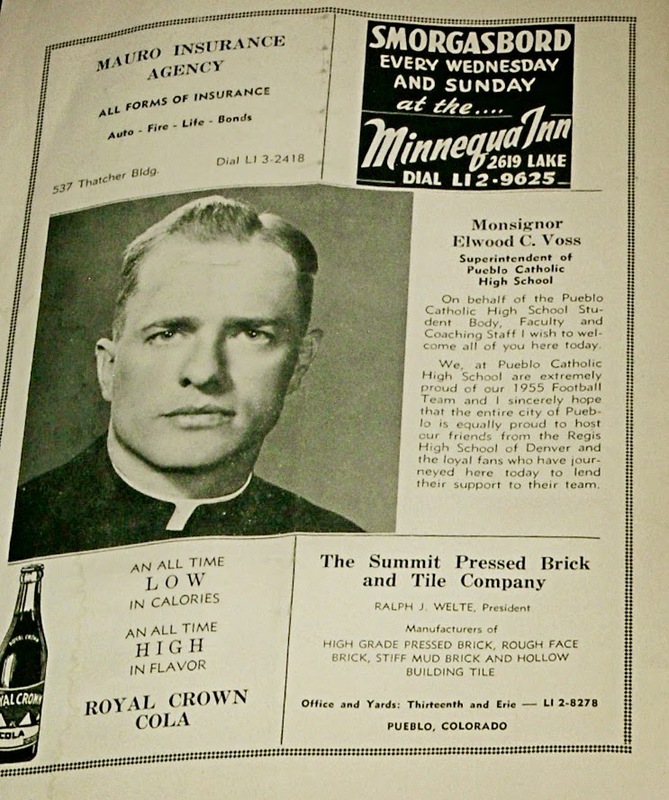 They were often home-bound, caring for young children or disabled. Without a means for income on their own, they were often forced into extreme poverty or marriage and rarely had the opportunity to change their station. 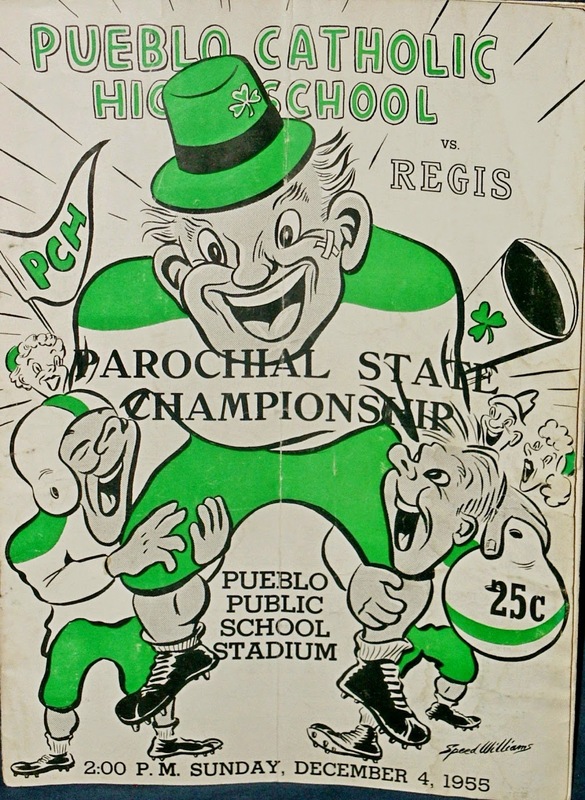 In 1955, Pueblo Catholic High School hosted the Parochial State Championship football game against Denver's Regis High School. 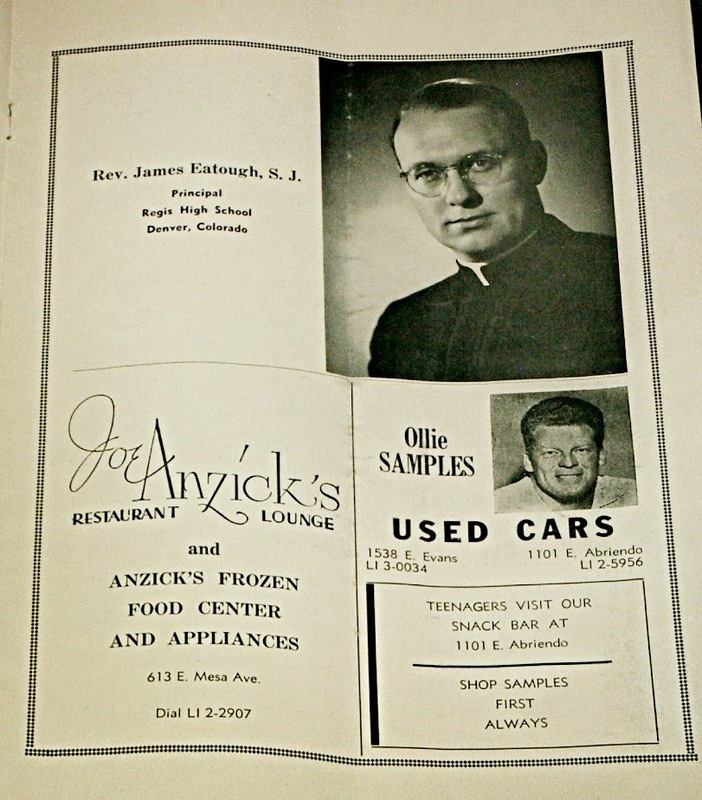 Pueblo, Colorado has always had a large Catholic population, in large part due to the large Italian and Hispanic populations. 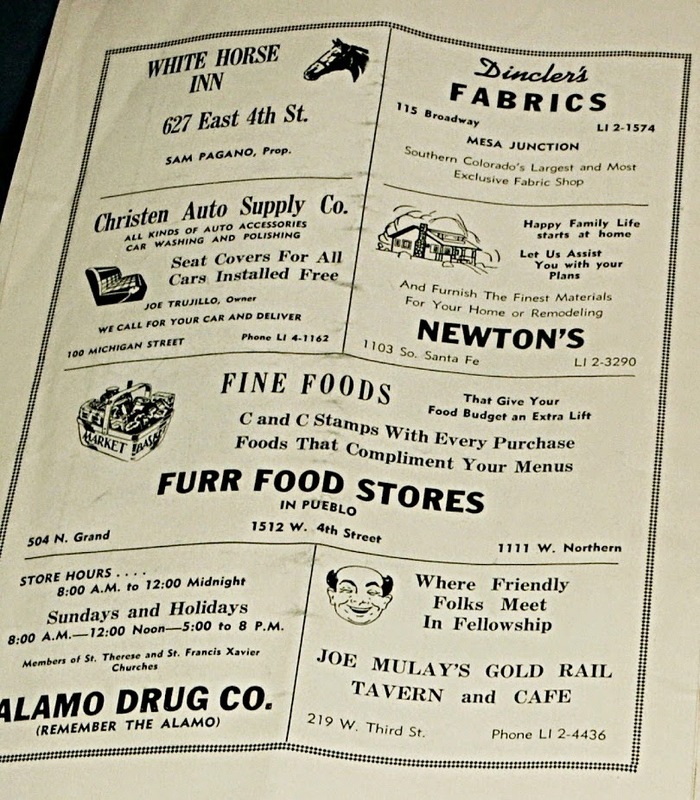 Programs for such events were quite elaborate and illustrate one of the main advertising markets for local businesses before television commercials became the norm. 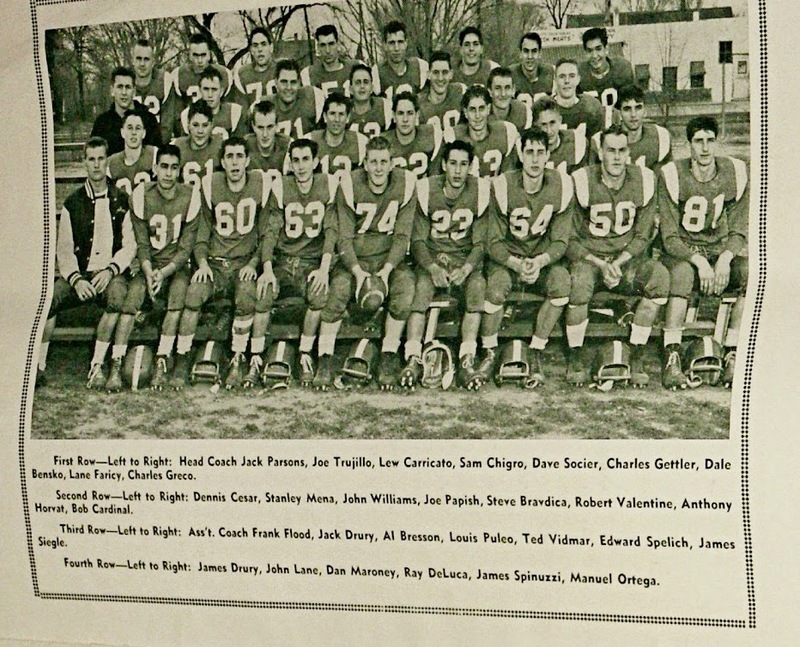 Also in 1955, Rosa Parks was arrested, Ray Kroc founded McDonald's, James Dean was killed in a car accident, and "The Mickey Mouse Club" debuted on the ABC network. I have thought about writing you a number of times, but have neglected it for some unknown reason until the present time. 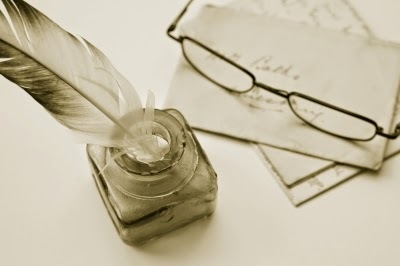 Now as Emma is visiting will ins___ the opportunity of sending a note in her letter. She has been visiting me this afternoon and we enjoyed the visit as well as could be expected under the circumstances. She just rec’d your letter informing her of Chas(?) illness, and of course she feels very very bad, has cried all the afternoon. And to say I am very sorry is but half expressing the sentiments of my mind. 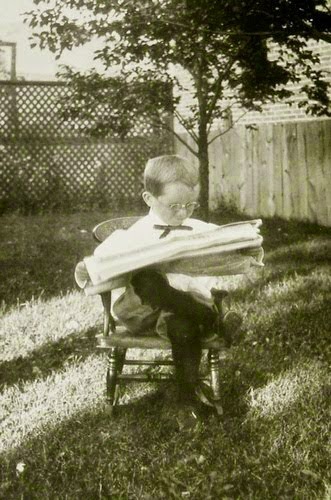 And Hattie [and I abbreviated] suppose you have herd [sic] that my little darling Bertha is gone. I can never tell you what I have suffered the two short months she has been gone. It was so very sudden only sick four days. Hattie only thinks what if your darling should be tourn [sic] from you, what would you do? You would have to bear it just as I do, and live on even if you had rather die. She was such a dear little one. It seems as though part of my life has gone out. You do not know anything about it and God grant you never may. Hattie [and I] hope you will return to this place again in time. Do you not think of coming back some time. Write me please, and kiss your mother & Lett__ for me also the children, not forgetting to remember me to your husband. I received your card, enclosed also find mine. I shall expect to hear from you soon. The business woman must take time to keep well. If social pleasures encroach on her resting time, she must give them up. On the other hand, her anxiety to keep up with the fashions or to keep up to date in other matters ought not to induce her to make twins of herself. It is much better to do one woman’s work well than to make a failure in two lines. Only in exceedingly rare instances can a woman be at the same time a successful business woman and her own dressmaker, milliner and housekeeper. Business women ought to take a few leaves from the experience of men, who have been longer in business and therefore know more about it. They take innumerable little recreations, and do not attempt to crowd all of life into one day. They get more pay, largely because they have a higher standard of comfort. – Lippincott’s. 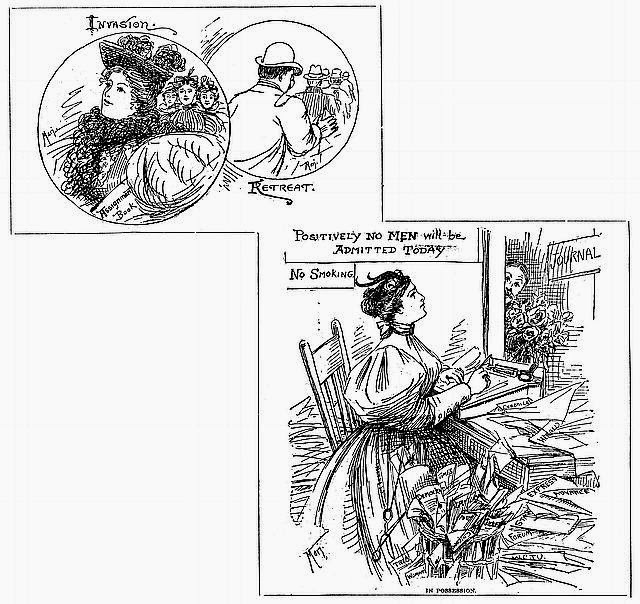 Cartoon commentary on women entering the offices of Milwaukee Journal, 1895. 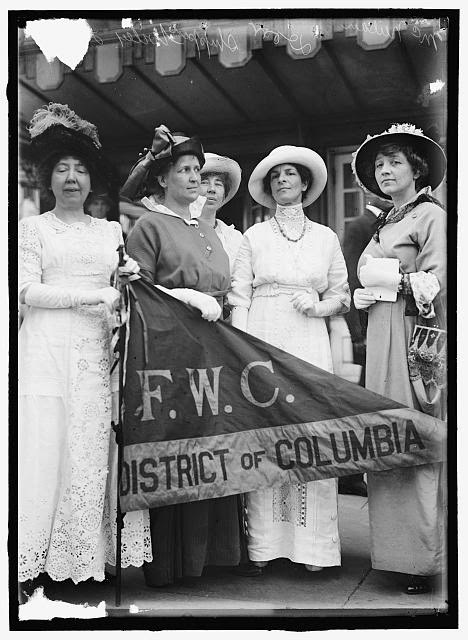 The third biennial session of the general federation of women’s clubs just closed at Louisville may not be as important an affair as the coming national republican convention at St. Louis. It is, however, significant of the progress of women and of their strength when organized. One thousand delegates representing thousands more of intelligent women who have stayed at home, form a body not to be set aside lightly when it has a fixed purpose in view. Just now a majority of club women are greatly interested in those minor reforms that affect health and morals and go so much towards making the world a better place to live in, and for this they should be commended and encouraged. 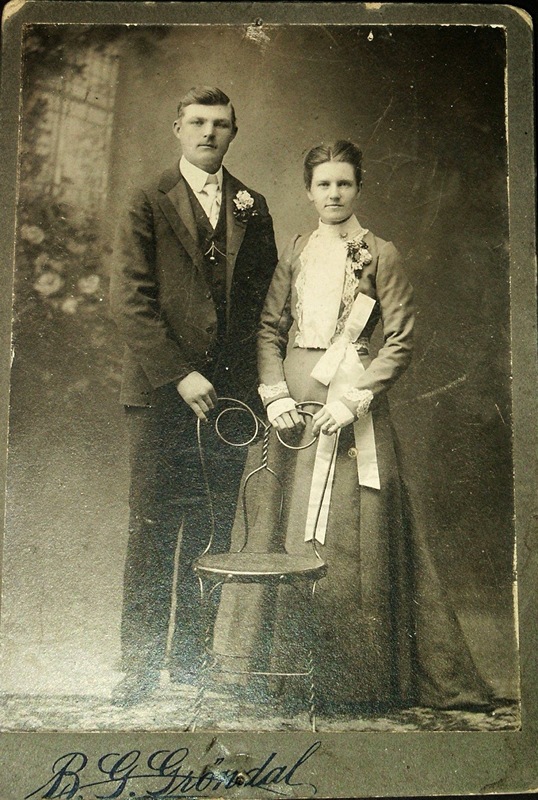 For Women's History Month, I'll be focusing on items relating to women as much as possible. As a historian, the lack of resources which mention women outside the context of household management, "frivolous pursuits," or celebrity is frustrating, but we do find bits here and there. Their voices can be heard; we just have to listen closer. *Editorial note: I restructured the format of the original text for readability.